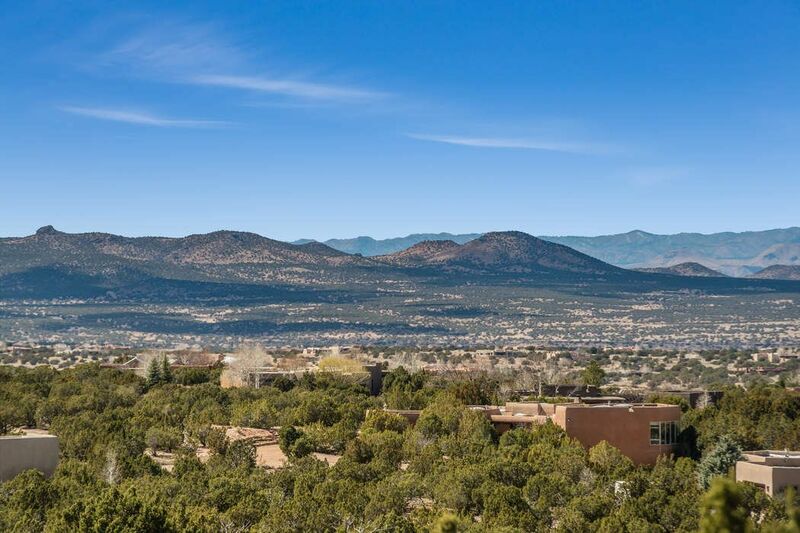 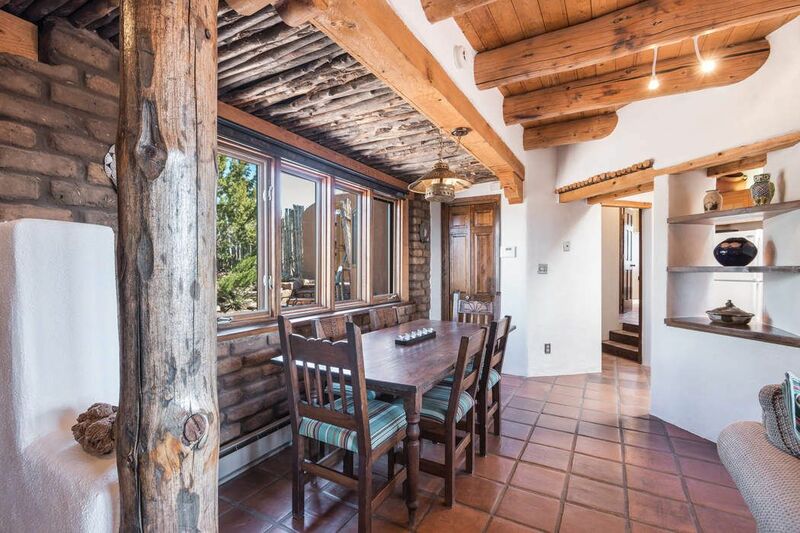 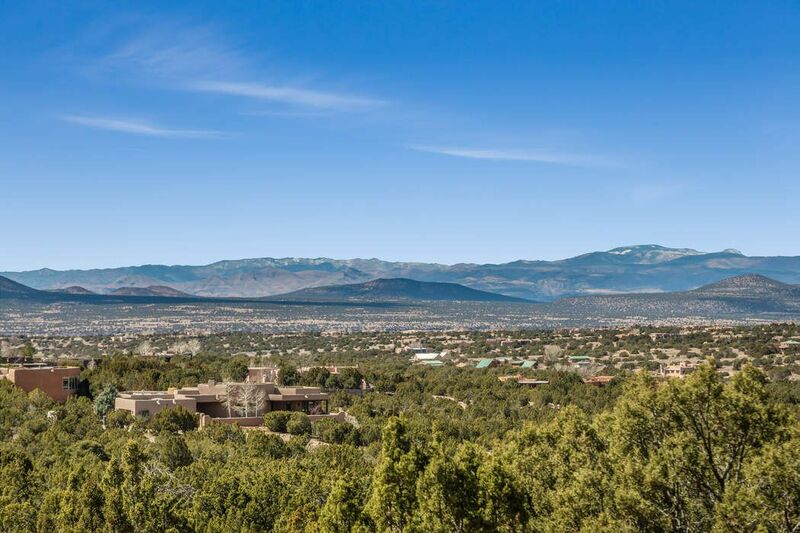 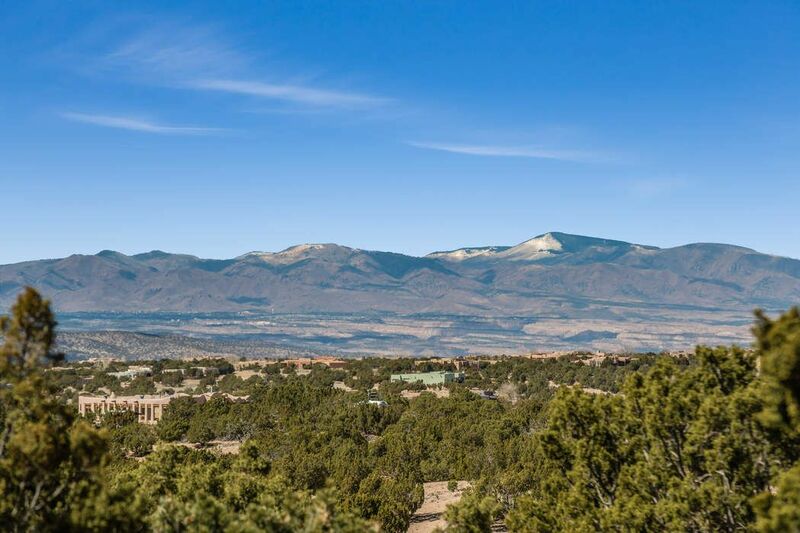 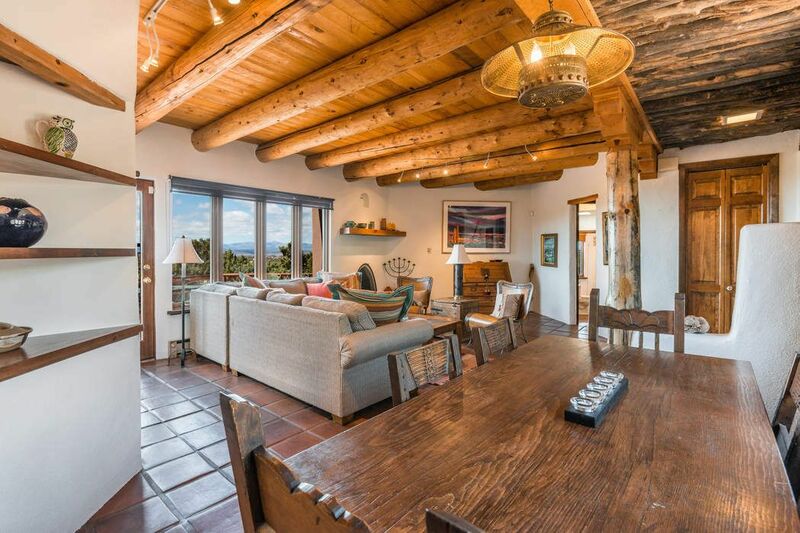 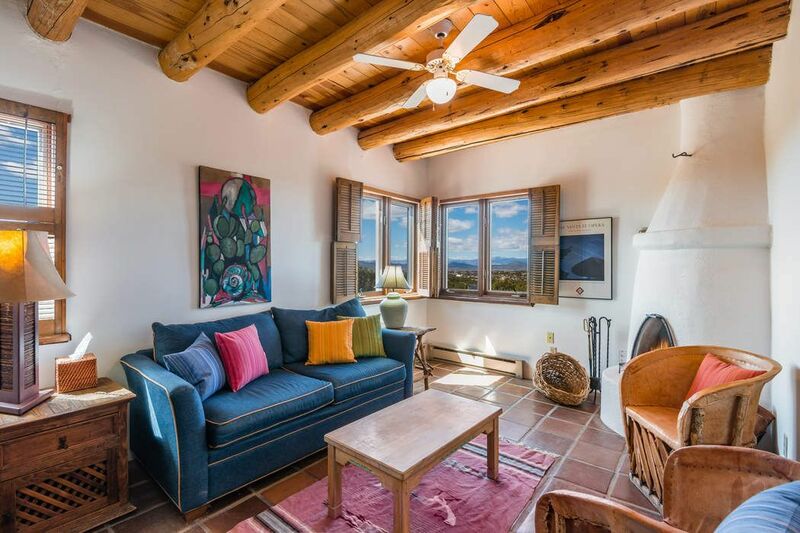 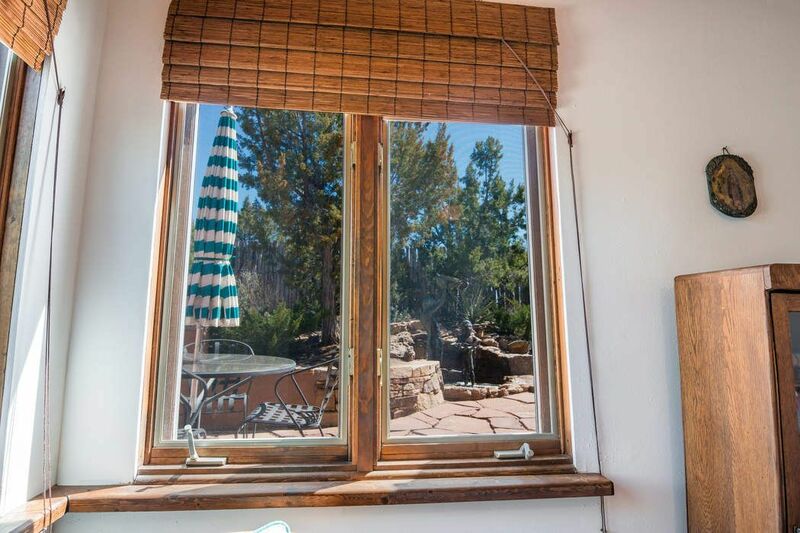 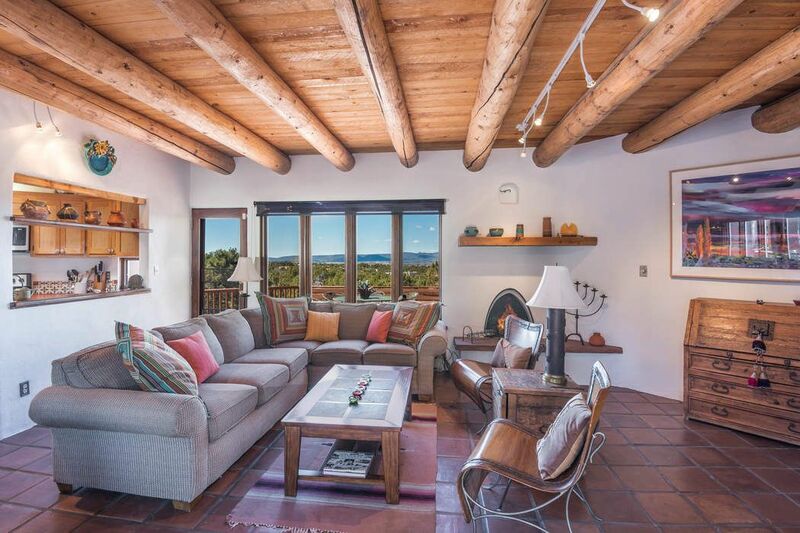 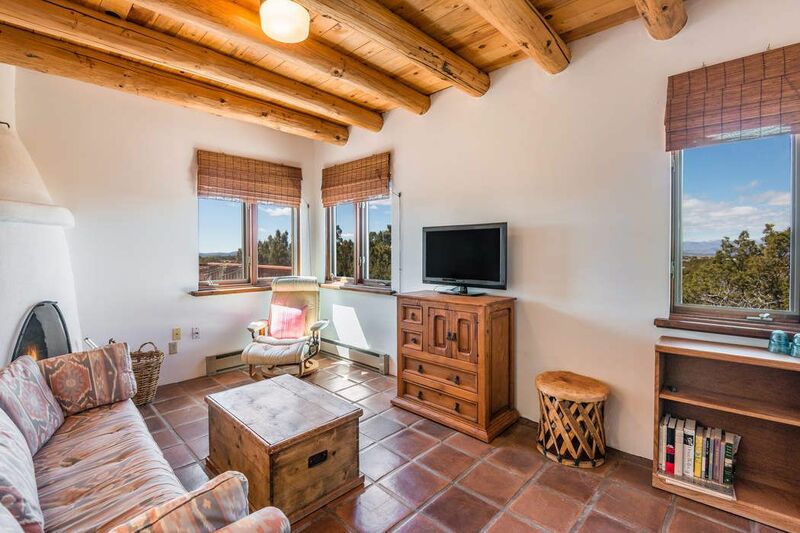 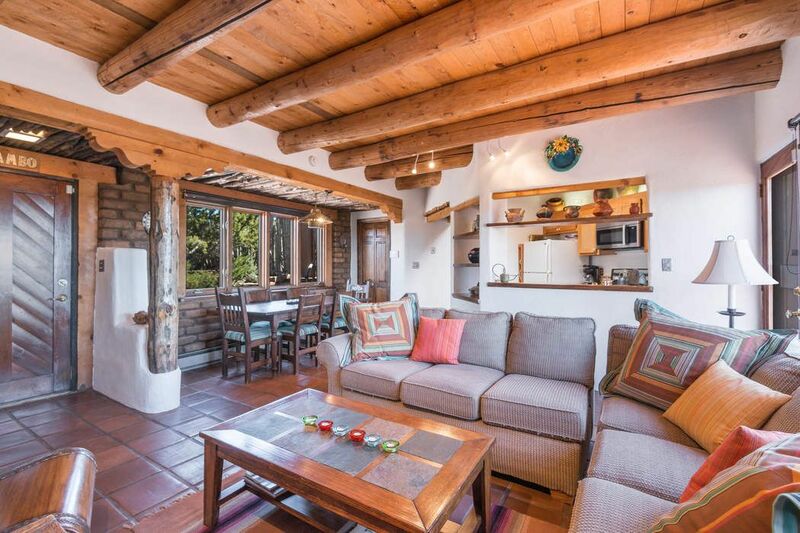 9 W. Wildflower Way, Santa Fe, NM 87506 | Sotheby's International Realty, Inc.
$449,000 2 Bedrooms2 Full Baths1,483 sq. 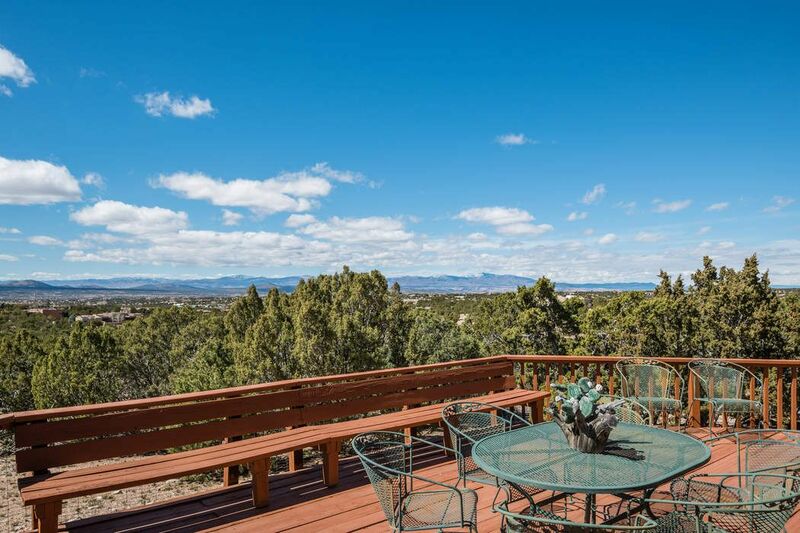 ft.
You can't beat the views from this singular property. 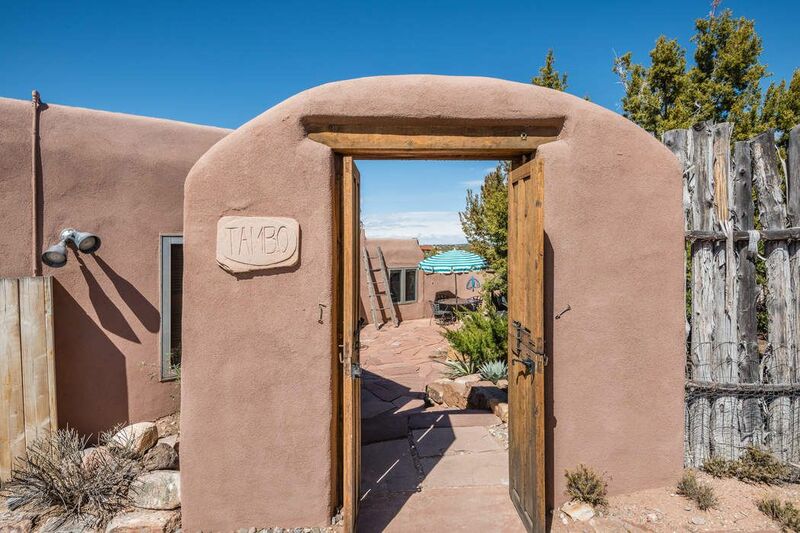 Upon entering this home through a protected flagstone courtyard; one is flooded with charm and character. 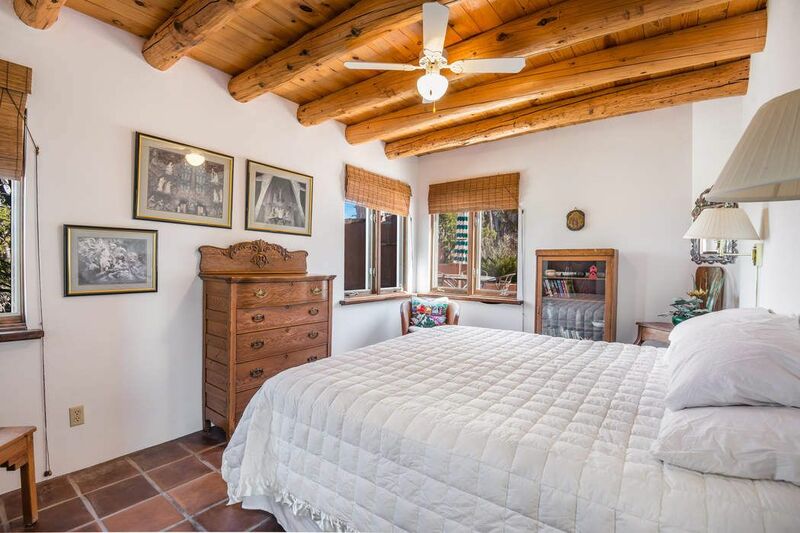 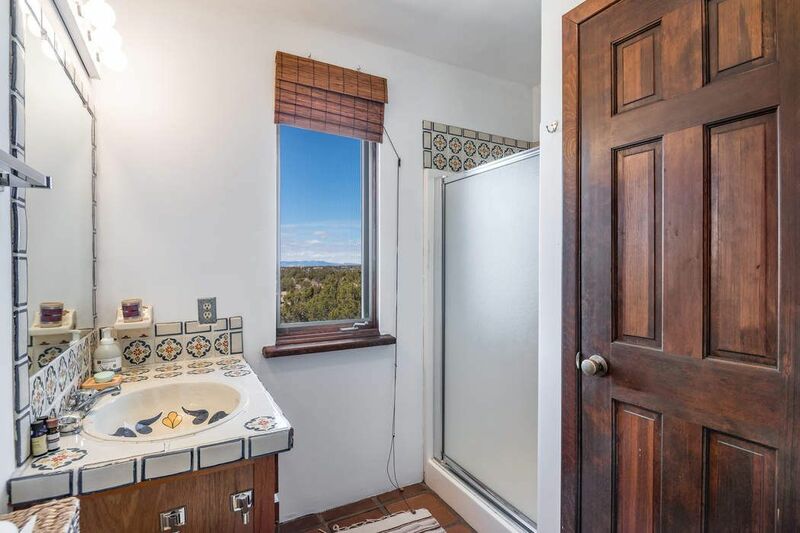 From the saltillo tile floors, vigas and latillas there is an abundance of southwestern architectural details. 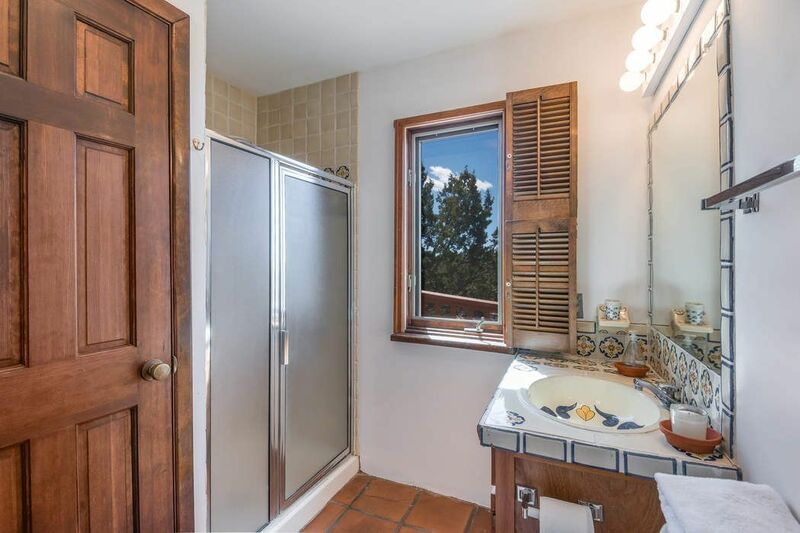 The unique layout features 2 totally private bedroom suites on opposite sides of the house. 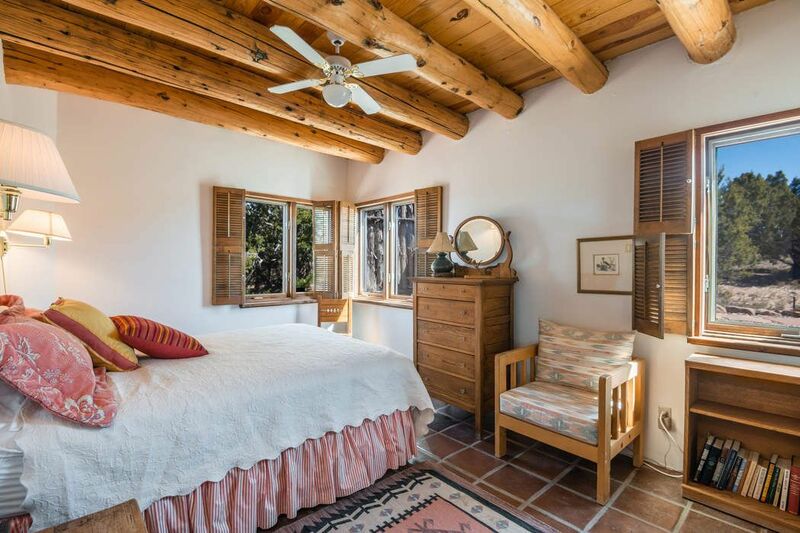 Each have their own bath, bedroom with walk-in closets and sitting room featuring wood-burning kiva fireplaces. 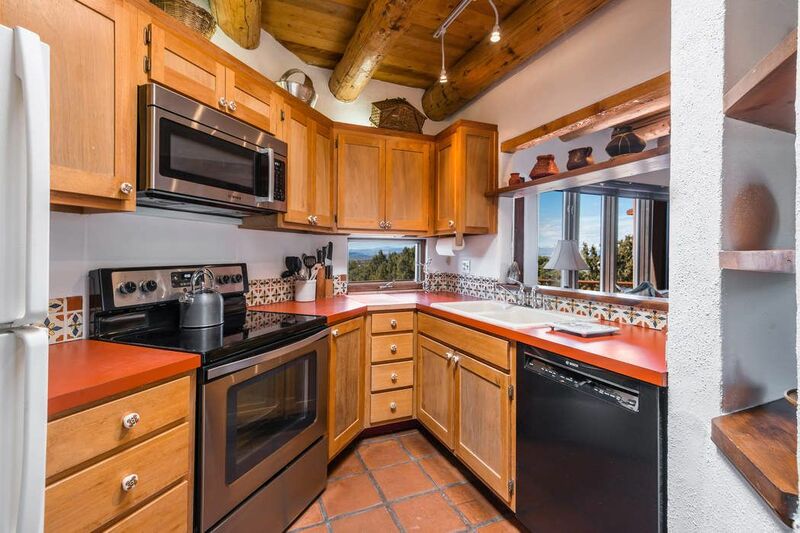 The kitchen is extremely functional and efficient and opens up to the great room. 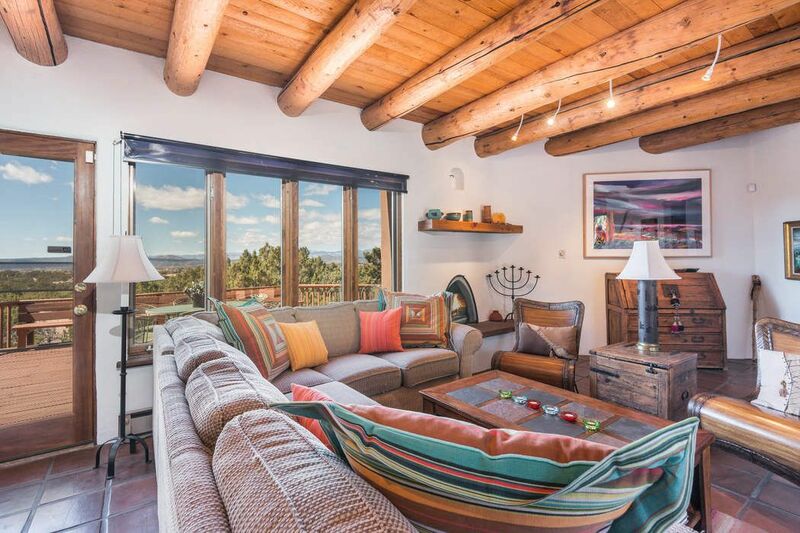 The views are copious from every room in the house and the large western deck off the great room is ideal for sunset viewing, relaxing and entertaining. 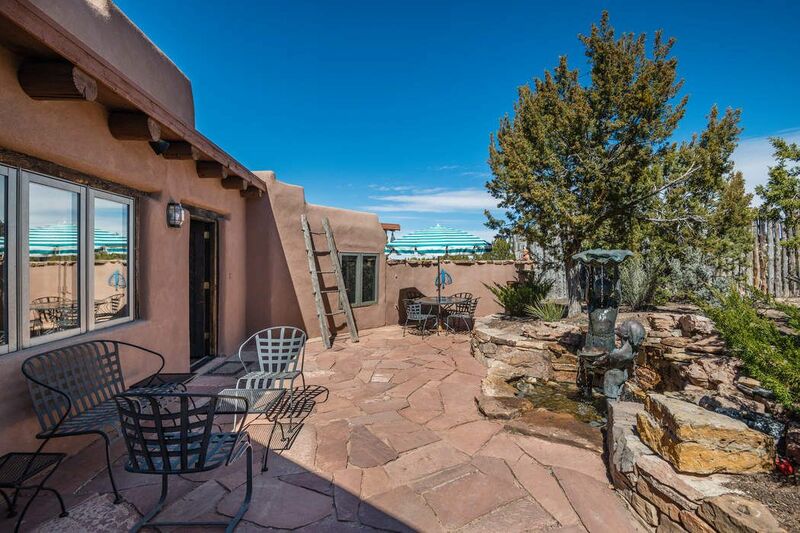 This special property is just a short 10 minute drive to the plaza; come and enjoy!